The Las Vegas Ski & Snowboard Resort (formerly known as the Mt. 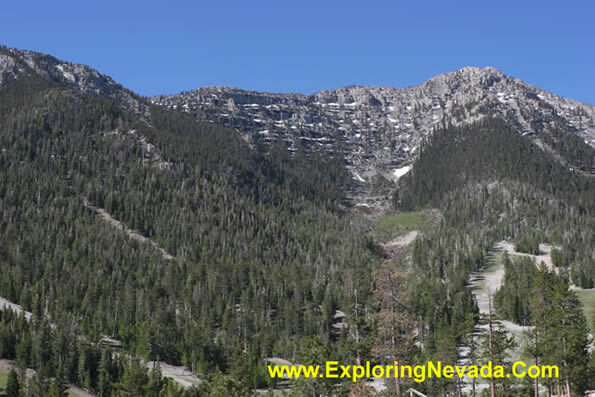 Charleston Ski Area), is located in the Spring Mountains along the scenic drive. It's base elevation is 8500 vertical feet and has a lift served vertical of 860 feet. The resort gets about 120 inches of snow a year, too. More info about the Las Vegas Ski & Snowboard Resort.